RANGER riders will enjoy comfortable shade, reliable overhead protection, and enhanced vehicle style with this Sport Roof. This roof installs quickly and easily - without tools - using Polaris-exclusive Lock & Ride technology. 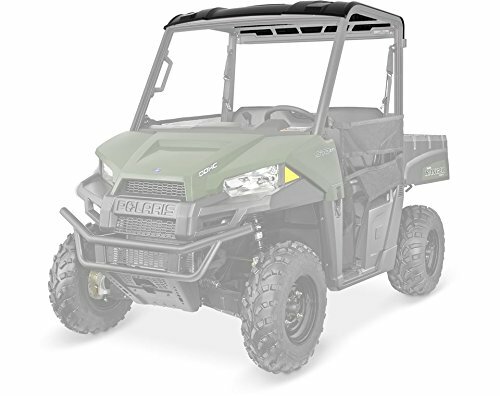 The vehicle's Pro-Fit chassis frame features a recessed channel design so the roof fits into the frame for professional-grade fit and a reliable seal for optimized comfort and protection. The roof shades the cab to keep riders cool in sunny weather, and it protects them from inclement weather and off-road hazards. This roof can be used in conjunction with numerous other accessories (each sold separately), including a windshield, rear panel, doors, audio systems, auxiliary lighting and more.